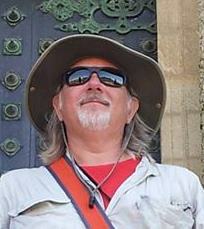 Hello, I'm Gregory and I completed my first Camino de Santiago in 2013 when I spent 7 weeks walking the Via de La Plata route (1000 km). I'm so proud of my accomplishment. It was a wonderful and terrible journey. Wonderful for the experience and the friends and the food (I could go on and on) and terrible because I broke my foot. It was only a hairline fracture and I didn't find out about it until I'd returned home. Still, I managed to walk (however slowly) the entire route. I'm so pleased that you've joined us at Walk Quietly. 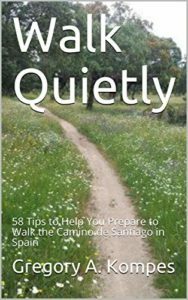 It is truly my dream to create a fun, inspiring, and safe forum space for you as you undertake your own camino journey.